Did you miss any chatter with John about Paper Towns? Here's the list of links to access them all. Thanks again, John! Things to know about John! 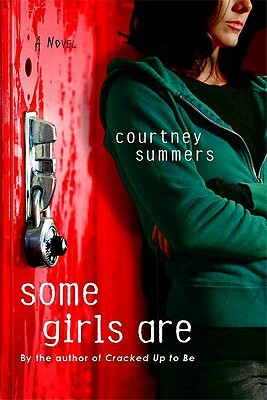 The amazing Courtney Summers just wrote a great post "on unlikeable female protagonists", and I had to share a bit of it here (though you really must go read the whole thing). "I did a lot of navel-gazing soul-searching and I just kept getting annoyed because my thoughts decided to circle in this way: WHY DO GIRLS HAVE TO BE NICE ALL THE TIME THEY CAN BE MEAN AND ANGRY AND GENDER STEREOTYPING MUCH ARGH. Just. Like. That. I was bothered that the behaviours that are supported, loved, celebrated or romanticized in male characters would be, I thought, rejected in female characters because we have the perception that girls are sugar and spice and everything nice (er, not that I think wanting your significant other to DIE is an inherently male characteristic). "We are HARD on girls." The whole post is fantastic, and it reminded me of this video clip I filmed of Libba Bray last year discussing something similar. * John's next book involves a beach. *John believes the world is essentially broken, and true endings are ambiguous. This deep thinker inspires us. Thanks for joining us here, John, and making our month full of Awesome! In the blogosphere: Gayle Forman, What is YA, Exactly? Don't miss the awesome post "What is YA, Exactly?" over at Gayle Forman's blog. It's spot on, and I have to say I was raising my fist in agreement. She blows away Suite 101's definition. Clearly. "Lev Grossman said it best in a Wall Street Journal article on why adults are reading YA novels. They have plot. To some literary snobs, this is like saying they have poo on their shoes, but Grossman meant it as a compliment. YA novelists don’t usually spend paragraphs upon paragraphs gratuitously describing scenery or the contents of a refrigerator or backstory that doesn’t matter. Plots are streamlined. If something doesn’t push the story forward or illuminate a character detail, it’s gone." Go check it out, and let her and us know what YA is to YOU! Erin Downing has written a bunch of fun romantic comedies, and now she's edging into a new space. KISS IT, which is out this month, is a story about True Lust. Sign me up! Here's Erin to talk about how the Cover inspired the story. Crazy, love it. "The strange thing about KISS IT is that the book's cover image was in place long before a single page of the book had been written. I had just finished writing my third Simon Pulse Romantic Comedy (Drive Me Crazy, below right), and my editor, Anica, and I began talking about what I was going to write next. I was pretty dead-set on getting away from light, 'fluffy' romantic comedies and really wanted to write something totally different from my first few books. Anica randomly told me there was this image that she and one of Simon Pulse's designers, Cara, had been in love with for a while--but they hadn't found the right book to use it on yet. She thought maybe I would be the writer who would know what to do with it. That seemed a little backward to me, but Anica has a good gut for this kind of thing, and I was really intrigued by what had them gushing about some random stock photo..."
Read the rest of Erin's Cover Story at melissacwalker.com. John asks, "Why do you think Q makes the decision he does at the end of the book? Do you agree with his decision regarding the invitation?" Follow-up: What do you think makes a good book ending, as a reader? What do you like to be left feeling or thinking? Our rgz NYC Host, Micol Ostow, recently attended an exclusive event for the forthcoming Francine Pascal book Sweet Valley Confidential. In this novel, the famous Wakefield twins are all grown up. What has happened to Jessica and Elizabeth in the ten years since they graduated from Sweet Valley High? You'll have to read the book - which comes out in March 2011 - to find out. Want to win a Team Jessica T-shirt? Leave a comment below and tell us why you're on Team Jessica or Team Elizabeth! Update: The winner is Erika Lynn! Thanks to everyone who entered the contest. 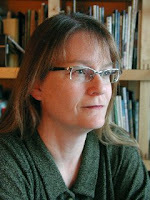 We're honored to have her here as part of the rgz SALON, a feature where four of the top kidlit experts clue us in to the best YA novels they've read recently. 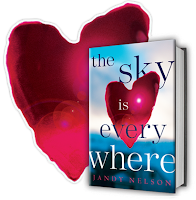 Here's René, reviewing The Sky is Everywhere, by Jandy Nelson. Ages 14 and up. (Dial Books. Hardcover, 2010). "When Lennie’s older sister, Bailey, dies suddenly, Lennie is completely at sea. One morning her sister goes to school but doesn’t come home and there’s no chance to say goodbye. As Lennie tries to deal with this, she meets a new boy and really likes him and also begins a relationship with her sister’s boyfriend. What is she doing? How can she do this to her sister? People are complicated and The Sky is Everywhere highlights how quickly things change and knot up. It is very good, very romantic, very sad, realistic. I know how easy it is to make that one choice that twists the future just enough that you can’t see where you are going or where the path is headed. "It is also funny and I love the characters in the book. Lennie works through her grief by writing down memories of her sister, questions she wanted to ask, poetry about being her sister, and leaving them in unexpected places. What a lovely idea. My favorite thing about the family, though? They road read. Read and walk through their neighborhood. "PS-I think this would be especially good for a summer book." Thanks, René! Has anyone else read this one yet? Deborah Davis' Not Like You is the story of Kayla, a teenage girl who must decide whether taking care of herself means no longer taking care of her alcoholic mother. Sounds like a tough one for which to design a cover, no? "I didn't have an image in mind for my cover except for picturing some of the warm red, orange, and brown tones of the northern New Mexico landscape. Kayla's storyis an emotional one, so I wanted warm, lively colors. "Unfortunately, I was not asked for input. Authors rarely are! Both covers -- hardback and paperback -- were designed from stock photos. "The first time I saw the hardback cover (above, left), my heart sank right through the floor. The image -- a road in a dry landscape with a prominent road sign displaying a beer bottle --seemed cold to me, not at all like the raw, emotional tone of the book.On the other hand, when I saw the paperback cover (below), I thought, 'That's it! That captures Kayla's yearning and loneliness perfectly'..."
John asks, "Discuss the scene where Q finally finds Margo. How does her reaction to seeing her friends make you feel?" Follow-up: Have you ever been in a situation where someone reacted to you in an unexpected way? How did that feel? Janet Fox is here today to talk about the cover for her new book Faithful, which I can't stop ogling. It's almost like a Vogue photo shoot -- the greens, the blues, the spirit of adventure in the air. And, oh, that dress. "While I was writing in the early stages, I had no idea about a cover; but as I revised I began to have avision of it, and most of the images that came to my mind reflected my research. 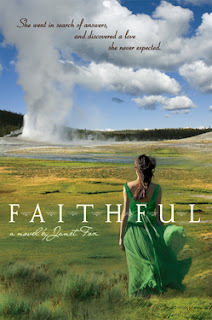 I loved the vintage photographs of Yellowstone and carried around in my mind an image of a girl looking at Old Faithful geyser, but with a vintage feel. "My editor asked me for advice! I was pleased and surprised. I don't know that it's common to ask. She wanted me to send her some of the photos I'd collected, especially photos with clothing details of the period and photos of girls I thought looked like Maggie (my protagonist.) And she asked me what I thought the cover should look like, so I wrote a narrative paragraph. I mentioned the cover of HATTIE BIG SKY (by Kirby Larson), which is close to the same period although a different social set..."
Read the rest of Janet's Cover Story at melissacwalker.com. Story Secrets: TELL ME A SECRET + giveaway! It feels a little funny to be telling my own Story Secrets today, after over twenty YA authors have been spilling theirs since the beginning of 2010. In fact, I'm pretty amazed that the secret is out, after being in my heart for six years! So I thought I would tell you a bit of the story behind TELL ME A SECRET. It's been five years since Miranda's sister died in a mysterious and tragic accident. For five years, Miranda has been holding her family together between her suffocating mother and her absentee father - but she longs to escape as Xanda would have. Now, just as Miranda has everything she's hoped for - a ticket to art school, a new friend to unlock her sister's secrets, and a dreamy boyfriend to fly her away - Miranda has a secret, too...one that will destroy everything, and send her on a path to discover her own future. The idea for TELL ME A SECRET landed in my lap after a painful personal event. Before that, I had been writing stories that didn't delve into what was meaningful to me. Our experience changed everything, and I almost quit - until a friend, Justina Chen (author of NORTH OF BEAUTIFUL), opened a door and asked if I was thinking of writing about it. We were at a conference, and right after that, we went to hear Libba Bray talk about "Shutting off your brain and getting to the heart of your writing." And that's when the story landed. Read on for a chance to win TELL ME A SECRET! Speaking of Pixie Dream Girls, check out our own Little Willow as Tinker Bell in a recent Peter Pan production. Is not her heart just glowing? Read John's full post here. What do you think of the MPDG? I really enjoyed Are U 4 Real? by Sara Kadefors. Sara lives in Stockholm, Sweden, where this book was an award-winning bestseller. To be honest, I thought the meeting-online premise sounded a little stale (it came out in Sweden in 2001, and just this year in the US), but the story really drew me in. It's about Kyla, a beautiful and popular LA socialite with an absent father and a deeply depressed mother, and Alex, a shy ballet dancer from outside San Francisco who tries to avoid bullies and has trouble talking to girls. They meet in a chat room and share their deepest feelings of isolation. It was a really sweet and romantic read with genuine angst and realistic situations, I thought. "The only thing I thought about my cover was that I wanted it to be modern. The first cover was something new in Sweden, it looked almost like a comic with a young girl throwing a glass with something inside..."
Read Sara's full Cover Story at melissacwalker.com. When Janet Lee Carey, Justina Chen, and Dia Calhoun and I first sat in a coffee shop in Seattle and discussed the idea of rgz in 2006, we had a vision. Part of that vision was helping librarians across the country begin pods, or clubs, of readergirlz. We would provide everything we could to make those meetings fun. 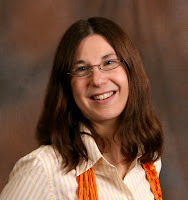 "Since beginning my career as a youth services librarian I have been attempting to start a successful book group. I tried everything: traditional book groups, book swaps, genre meetings, etc. Nothing worked. Then a few months ago I had a mini-epiphany--I should start a readergirlz group! and party ideas from the website) but the participants could also join the discussion online. The promise of author chats provided the icing on an already delicious cake. And, guess what? It's working! We have a small, dedicated group (that I'm hoping will grow in size over the summer months) of amazing young women who are now proud readergirlz. 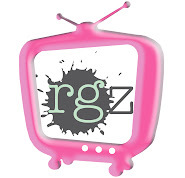 Let us know if you've begun a rgz group. You deserve a shout out! John asks, "Do you think that Margo meant to give her friends a false impression of herself?" Follow-up: Have you ever given anyone a false impression of yourself? rgz NYC HOST: Summer Fun is Underway! Book Expo 2010 kicked off nearly a month ago, and in addition to taking in major info overload on the Expo floor, I also attended a Meet the Booksellers party at one of my fave indie bookstores, Books of Wonder. While there I chatted with author Shani Petroff, who was days away from turning in the third book in her Bedeviled series. Can’t wait to read it! Another highlight of BEA week was the 2010 Independent Publisher Book Awards (IPPYs), where So Punk Rock was honored with a silver medal! Shiny! I had the chance to break from the convention for coffee with Andrew Karre, the brilliant editor who first acquired Punk Rock over at Flux. Andrew is now working as Editorial Director for CarolrhodaLab Books ], and his launch list – due out in fall – looks edgy and intense and all things awesome! 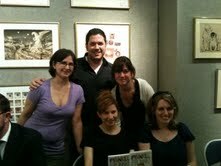 Later that week, it was back to Books of Wonder for a panel featuring chapter book authors and illustrators. I had a blast hearing about the interplay between text and art, and fell in love with the new series, Frankly, Frannie, about a little girl who wants nothing more than to have a real, grown-up job. Anyone hiring? Franny is written by A.J. Stern, pictured here with her extended publishing family. Finally, June also saw the release of fellow Vermont College-er Jessica Leader’s Nice and Mean, and she came all the way up north to celebrate in style! 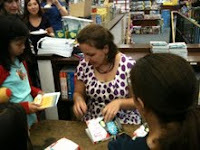 We feted Jess at Bank Street Books, where she signed books and socialized with her adoring fans (see below). Yup, summer is in full swing here in New York City, and it looks like the fun times are still heating up. Next up – July 4th weekend and catching up on my reading, of course! We're honored to have her here as part of the rgz SALON, a feature where four of the top kidlit experts clue us in to the best YA novels they've read recently. 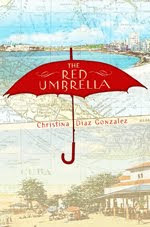 Today, Lyn reviews The Red Umbrella by Christina Diaz Gonzalez (Knopf, 2010). "From 1960 to 1962, more than 14,000 Cuban children under the age of 18 immigrated tothe United States without their parents. They were the children of Operation Pedro Pan, sent out of Cuba in the years following Fidel Castro’s Communist revolution of 1959 because their parents didn’t want them to be indoctrinated in Marxist-Leninist schools, drafted into the army or into 'volunteer' brigades, denied the right to practice their religion, or shipped off to the Soviet Union to receive advanced academic, arts, or sports training. (In fall 2008, MultiCultural Review published a series of interviews with 'Pedro Pans' and their family members, including the former Secretary of Housing and Urban Development and U.S. Senator from Florida Mel Martinez.) Although most of the unaccompanied minors were later reunited with their parents, some never saw the rest of their families again, and others had to wait years before their parents were allowed to leave Cuba. "Gonzalez’s debut novel is the first of two this year to depict the experiences of the children of Operation Pedro Pan; 90 Miles to Havana by Enrique Flores-Galbis, himself a Pedro Pan, will be published in the fall. The Red Umbrella is based on the experiences of Gonzalez’s mother, who came without her parents from Cuba to the United States in 1961. Gonzalez’s mother should be very proud of her daughter for writing this book. "Each chapter of The Red Umbrella begins with a date and the headline of a news story somewhere in the United States that talks about the situation in Cuba. While some of the headlines are sensationalistic—this was during the Cold War, when the presence of a Communist country 90 miles from the Florida Keys was seen as a dire threat to U.S. national security—they convey the period and the danger that faced these children. Fourteen-year-old Lucía Alvarez is stuck at home, as her private school has been closed for reorganization and the streets are too dangerous with all the soldiers around. When her younger brother develops a fever, she is forced to go to the pharmacy for medicine, and on her way home, she sees the pharmacist—an opponent of Castro’s regime—hanging from a tree in the park. "Lucía’s best friend, Ivette, supports the new government, but Lucía’s father, a bank manager, does not. When soldiers barge into her home, locate the place where her father has hidden money and jewelry, and arrest him, Lucía suspects her friend. Another suspect is Tío (Uncle) Antonio, Papá’s pro-revolutionary brother. Given the family’s now-dire financial situation and the suspicion and fear that have descended upon them, Lucía’s parents make the difficult decision to send her and her seven-year-old brother, Frankie, alone to the United States. The second half of the novel takes place in the U.S., where the children spend five days in a refugee camp separated from each other until an older couple in Nebraska, the Baxters, takes them in. There, Lucía and Frankie must adjust to a new language, family, culture, and climate. Mr. Baxter is moody and uncommunicative, having been unable to work due to a farm accident. However, he and Frankie connect, and the two men of the family begin to overcome their losses. Lucía makes friends at school but is torn between her new life and her desire to see her home, her parents, and her old friends. When the letters and calls from Cuba suddenly stop coming, the children wonder if they’ll ever see their parents again. How amazing does that sound? Thank you, Lyn! PS-Watch Miami HOST Crissa's video of Christina Diaz Gonzalez talking about the book! Happy Book Birthday, Tell Me a Secret! Diva Holly Cupala's Tell Me a Secret is in the world! There's a big party going on . . . go to it! Congratulations, Holly! We are so happy for you! Tera Lynn Childs, who shared the scandalous Cover Story for her Oh. My. Gods. books, is back with an awesome, colorful cover and the story behind it. Take it away, Tera! "I had no cover in mind as I wrote Forgive My Fins. Which is weird, because I'm a very visual person and I usually make a mock cover for every book. But I was completely blank. "My editor asked if I had any great ideas (which, as I said above, I didn't). I gathered together a collection of images that resonated with me, especially the movie poster for Aquamarine (right) and the Evian mermaid ad (below). I only knew that I wanted a realistic cover, with a real girl. A real Lily Sanderson. Mermaids are fictional enough already, I didn't want a cartoon to make my characters seem even more so..."
"When I first saw the original cover, I had mixed emotions..."
Read the rest of Tera's Cover Story at melissacwalker.com. June: PAPER TOWNS, Which Cover is True? Author in Residence Lisa Ann Sandell: Her Books! June: rgz LIVE! Twitter Chat Recap! rgz LIVE! 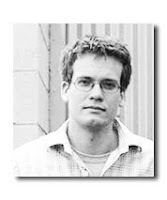 Twitter chat with John Green! Diva Holly Cupala's Virtual Tour! Diva Melissa Walker on CBS! June: PAPER TOWNS: Who's your accomplice? rgz Seattle HOST: Amy Efaw! Rgz Shoutout: Tera Lynn Childs!